You can always count on change as a constant in the Internet of Things (IoT). Here, David Grammer, PTC UK’s senior vice-president, describes five product trends we should keep an eye out for. The way that manufacturers manage information throughout the product lifecycle has changed significantly in the past few years. 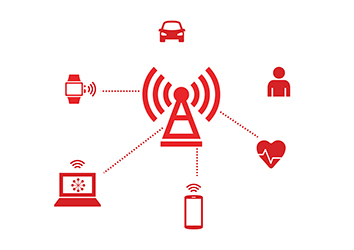 The Internet of Things (IoT) has helped accelerate innovation in the design process, making it possible for manufacturers to receive information from products in the field that can be leveraged to improve new or future iterations of products. In order to succeed, organisations are going to need to embrace new technologies and capabilities available through enterprise system vendors. Using augmented reality (AR), team members are able to visualise, interact with, and provide feedback on product designs from anywhere in the world. 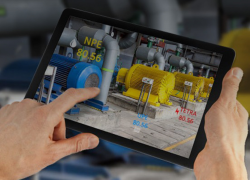 AR makes it possible for stakeholders to interact with a 3D model of the product, such as walking around it and viewing different states of the model – including going inside the model itself. AR also enables users to get a third-party perspective from other teammates. This particularly comes in handy when deciphering notes from a colleague as it brings you to the point of view of the model they had when they made the comment. The market is clamoring for smart, connected products: whether it’s an Amazon Echo, a Nest Thermostat, or a Fitbit. In order to sufficiently meet the expectations of customers, manufacturers need to transform their product development process to understand and leverage data from products in the field. Noting product information on a CAD drawing is no longer going to cut it as products become more complex. Manufacturers will need to become more organised with their product development process. Having a comprehensive PLM system provides a strong foundation to taking full advantage of IoT capabilities. By consolidating all product information into a single-view digital product definition, organisations can ensure that stakeholders are all accessing the most accurate, up-to-date product information. With a PLM system, all information is streamlined into a single easy-to-read Bill of Materials (BOM) list format. Product data is an organisation’s most valuable asset. With products gathering data from the field, this data is becoming more valuable every day. However, many organisations continue to keep it locked away with engineering and manufacturing. Product data can be leveraged throughout the enterprise: whether it is how the marketing team promotes the product or how the sales team sells it. Having a window into how each product or asset in the field is operating is key to improving profitability, decision making, and ensuring security, legal, and regulatory compliance. With a digital twin, the digital definition is combined with the specific physical experience of the asset, for example environmental conditions and performance data from an operating asset. This purpose built digital representation allows manufacturers to analyse assets for future sales, recalls, or update opportunities. Real-world usage can be leveraged to improve future products or future iterations of the products. In order to stay competitive, it is imperative that manufacturers rapidly transform their product development process. Enabling this is the ability to host their PLM and other enterprise systems in the cloud. Cloud based PLM removes the burden of setting up and maintaining the system on-premise while also reducing the cost of owning the system. Forget managing your enterprise systems on the cloud. More and more manufacturers are relinquishing the burden of setting up and maintaining their PLM system on-premise. Alternatively, many companies are looking to host their PLM solution as SaaS. SaaS offers many the same benefits as the cloud with the added bonus of the PLM vendor handling all upgrades, updates, and software migrations for the customer.